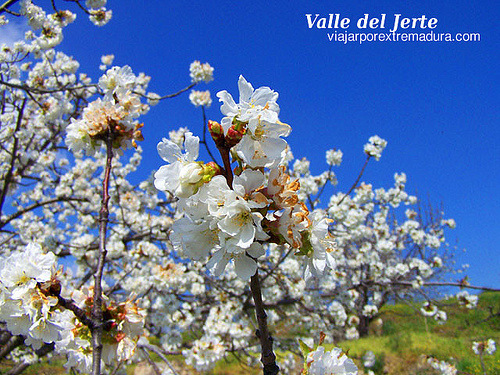 At the end of March, the Valley of Jerte welcomes the spring season showing its best distinguising feature: the beauty of its cherry trees blossoming. This celebration is described as a natural wonder. 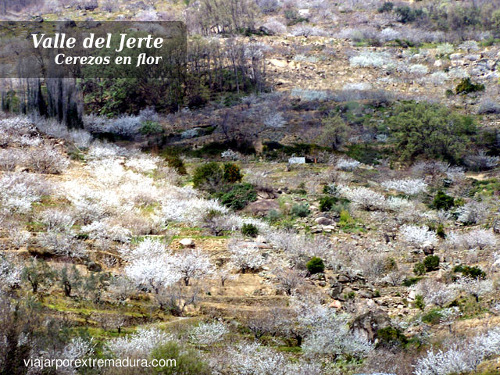 The whole valley turns into white due to the cherry trees white flowers.. over a million cherry trees showing their flowers at the same time. To contemplate this event, people from all over the world come to this valley. There are many activities related with this event. Visitors will come into contact with culture, gastronomy, customs and the heritage around the whole valley. People can also visit expositions, handicrafts and street markets. Concerts and live music as well as other activities relating to the zone and the Extremadura culture will complete the feast. 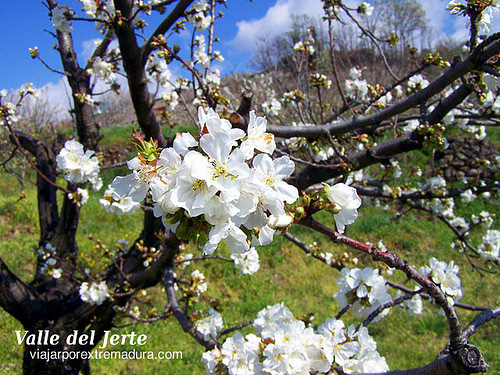 The beautiful cherry trees blossoming landscape invites to go for a walk and get into this special place. In all the little towns of this zone, the inhabitants offer typical products and food to be tasted for everyone who goes there. This land provides delicious jams, wines and liqeurs and typical dishes as trouts Jerte style. Really good reasons to planning a trip to Extremadura and western Spain.